I am delighted to represent the Massachusetts Chapter of the American College of Surgeons (MCACS), a scientific and educational association of surgeons that was established to improve the quality of care for the surgical patient by setting high standards for surgical education and practice. The MCACS addresses this mission through education, advocacy, professional consensus and fellowship. The Chapter is comprised of greater than 1000 ACS surgeons from the Commonwealth and is governed by a Council, led by President Dr. Richard S. Swanson of Cambridge Health Alliance. I would like to thank Chapter members who contributed to the resident research prize and to meeting attendees who sponsored a resident. I would also like to express my sincere appreciation to industry partners who provided critical in-kind equipment and support through the exhibit program. On behalf of the MCACS Council, we hope that you will find the information contained on this site useful. I invite you to attend the 66th Annual Meeting, get involved with advocacy, participate in fellowship activities and possibly join the leadership of the Chapter. If there are issues you would like the Council to address, please contact the Chapter's administrative offices by phone at 978-927-8330, email, or feel free to contact any of the Chapter Officers. Finally, remember to follow the Chapter @MaChapterACS. We look forward to hearing from you and getting your Tweet! 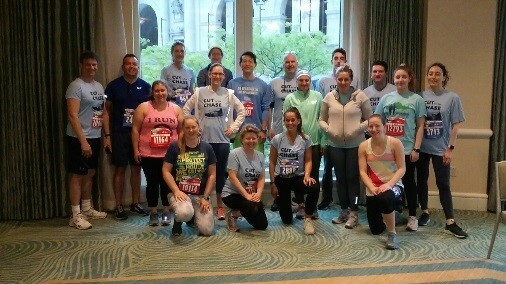 Over 30 members of MCACS team "Cut to the Chase" participated in the 14th Run to Remember Race along with 8500 runners in Boston on Sunday, May 26, 2019. 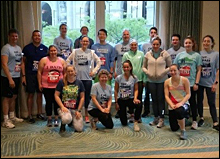 Join MCACS team "Cut to the Chase"
* During the registration process, you will be asked if you are affiliated with a running club. You must select 'Yes' and then select 'Cut to the Chase' from the Running Clubs listed in the drop down menu. The Massachusetts Chapter of the American College of Surgeons is now accepting abstracts for their 2019 Annual Meeting.